I left college in 1995 with an A level in Media Studies and English Literature and a CLAIT qualification. In English I received four A’s. for coursework which involved creating my own stories. I returned to study a HND in Administration, along with other computer courses and a qualification in Marketing and Media Techniques within the Leisure and Tourism industry. These proved highly successful in improving my organisational and IT skills. Whilst at college I had work experience at the Herald Express, Choice Magazine, Express and Echo and Dawlish Gazette. After leaving college, I went to work at the Totnes Times as a Data Input Clerk within the Editorial department. During my time there, I learnt how to put news stories together, interview people and think of ideas for stories. In 2008, I made a tough decision to abandon the first and only ever fiction novel I started writing in 1996, in favour of something more fun; lighthearted and shorter in length; and what I had always wanted to write – Children’s Picture books for 3-5 years. It was that year I started a Writing For Children’s course with the Writer’s Bureau. I would love to say I finished this home study course, but I didn’t – still haven’t. I got very good marks for my first assignment that covered 4 out of 14 modules and I learnt so much during that part of the course that I felt confident enough to start becoming a published writer! My published written work includes an article published in the December 2009 edition of Country Smallholding and a Star Letter published in the March 2010 edition of Freelance Market News. I have had two articles published in the BID (Be Involved Devon) newsletter, both in 2012. In July 2010, I launched my website, quirkybooks.net, which I have changed over the years and am currently developing into my own e-Book store to publish my own books. At the end of 2011, I took a year out of retail to focus more on my writing and to start my own business called beatredundancyblues. I attended a number of courses and gained a teacher/trainer qualification PTTLS Level 4 and an IAG Level 4 Diploma. (Information, Advice and Guidance.) These qualifications lead me to teach Blogging, Facebook and Twitter, for the recovery of mental health. 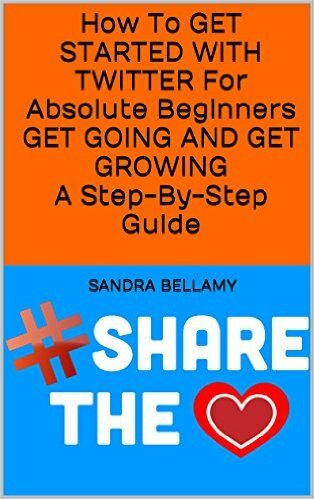 I was working for the Recovery Learning Community that is part of the NHS – and that gave me all the skills, knowledge and know-how I needed to publish my second non-fiction book called How To Get Started With Twitter For Absolute Beginners, Get Going And Get Growing, A Step-By-Step Guide! 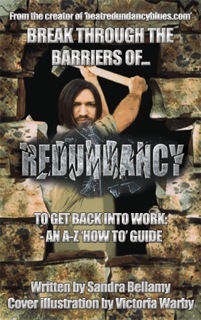 It took me over two and a half years to write, edit and publish, my first non-fiction book: Break Through The Barriers Of Redundancy To Get Back Into Work: An A-Z ‘How To’ Guide. But because I already wrote the course content for the recovery courses I was teaching and retained the copyright, I was able to use some of that course content, tested by my students, to write part of the book Twitter book; so was able to write, publish and edit that within a month!! 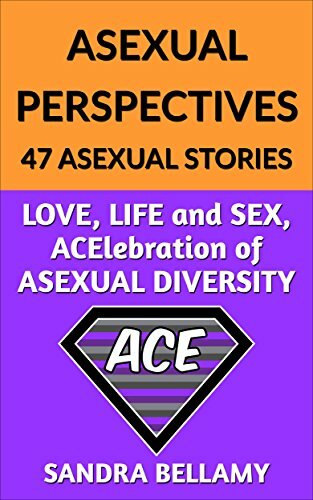 It is a much smaller book in page numbers; 90 Kindle pages, compared to my redundancy book that has 391 Kindle pages and 7 years recruitment knowledge and know-how and two redundancy episode experiences incorporated into it. Besides my two Kindle books already published, I will be writing a variety of books for my quirkybooks.net store. There will be books to help people who are redundant to get back into work. There will also be books about writing and blogging, so watch this space. I am following your blog to learn abc’s of writing. Love to read your posts and tips. Hello Swethadhaara, thank you for following my blog. I am happy to hear that you love to read my posts and tips. I started the ABC’s of writing on this blog. I plan to write a full ABC of writing in one of my new books, that I have already started to draft, called: How to accelerate your writing career – An A-Z guide. I am currently finishing my Break through the barriers of redundancy book for publication on Amazon. Hi. Thankyou for your kind comment about my site. Devon is a great place to live. To let you know, I have just nominated you for the One Lovely Blog Award and I am now following your blog. Unfortunately I am not a full-time writer yet. I left a 15 year career in retail, at the end of last year, to go back into education to set up my new company called beatredundancyblues that is designed to help people who are redundant and unemployed to get back into work. I have a redundancy blog called beatredundancyblues.wordpress.com and have been made redundant twice myself, so I can sympathise with how it feels. I have a book proposal about redundancy with a publisher and I will be writing E-books to help people to get back into work.